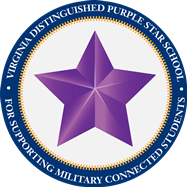 As a Virginia Distinguished Purple Star School, St. Loui s Catholic School welcomes and supports our military students and families from Fort Belvoir, Joint Base Anacostia-Bolling, the Pentagon, Fort Myers, the U.S. Coast Guard Station and other military facilities throughout the Washington, D.C. area. Our school counselors, Mrs. Jennifer Cotnoir and Mrs. Donna Zientek, serve as the points of contact for our military families to provide support to students who may face frequent relocation or a deployed parent. Our National Junior Honor Society (NJHS) members make up our student transition team for military families, assisting with open house tours, helping with student visitors, and hosting a farewell reception for students who receive military transfers during the year. St. Louis hosts 2 sets of Open Houses for prospective families each year in mid-November and the end of January. Our development director, Mrs. Kristin Matheis, is our office liaison for military families, ready to assist with any enrollment questions that families may have. 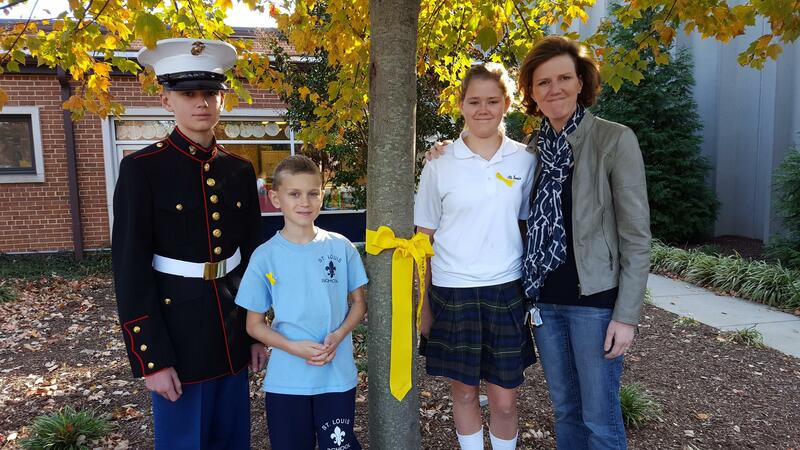 Military families who are unable to attend these open houses, may contact our school office at 703-768-7732 or office@stlouisschool.org to schedule an individual visit and tour of the school. St. Louis understands that military families may be awaiting confirmation of orders prior to applying, but do encourage military families to apply early if there is a possibility of relocation to the Alexandria area as applications are considered within the order they are received by priority criteria and wait lists at all grade levels are common. Please visit our Admissions Protocol page for K-8 application instructions. Military families may scan and email, or mail their application packets to the school. Applications for the upcoming school year are accepted beginning at the first open house in November. 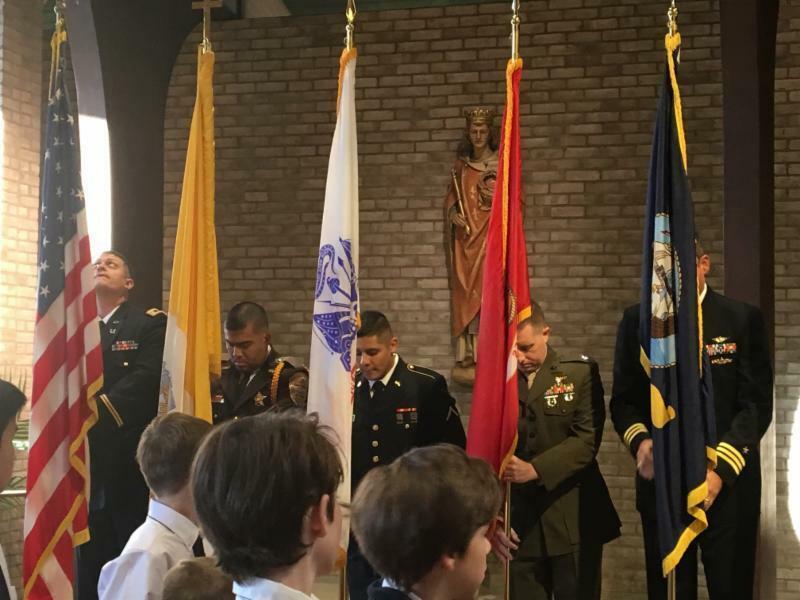 Students from practicing Catholic active duty military families share application priority criteria with St. Louis parishioners. Student applicants must be baptized and have received age-appropriate sacraments in the Catholic faith to be considered in this priority category. Families interested in applying for a mid-year transfer should space be available, should contact the school registrar (registrar@stlouisschool.org). In addition to the 4-page application, a complete application packet includes a $50 non-refundable application fee, a copy of the child’s birth certificate and baptismal certificate (Catholic applicants), and proof of custody where applicable. Upon acceptance and before a student may start school at St. Louis, parents must submit a Virginia Health Form and immunization records to the school nurse. Families who have not yet relocated to the area can download the form here and have their current physician fill out the form. Families with students entering the 6th Grade are reminded that students must also have a Tdap booster prior to the start of school. 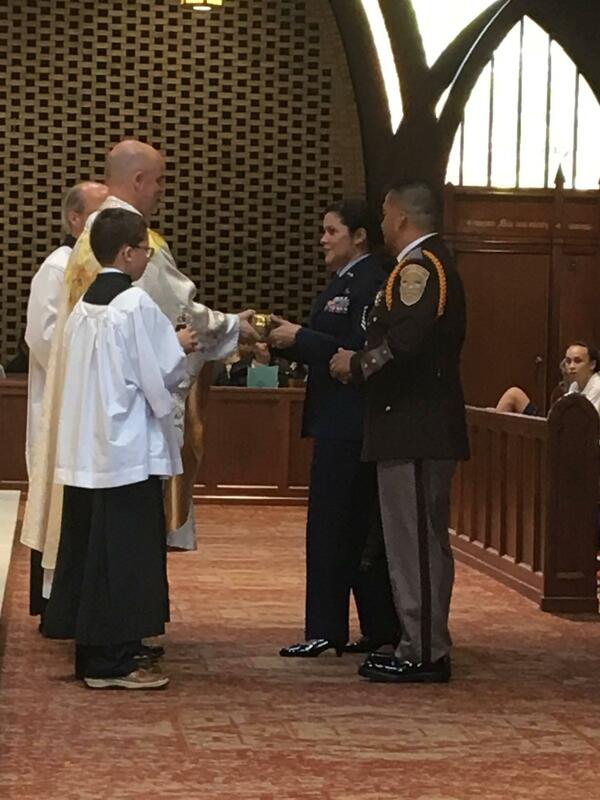 Catholic active duty military families may qualify for the Active Parishioner tuition rate noted on the Tuition page. Financial assistance may be available through the Arlington Diocese tuition program. Please visit the Financial Aid page for eligibility requirements and application instructions. Deadlines for financial aid are mandatory. St. Louis Preschool and the St. Louis School Extended Day Care program are approved providers in the Operation Military Child Care (OMCC) Program. Military families may qualify for financial assistance through the Child Care Aware of America Military Fee Assistance program. For more information, please visit Child Care Aware. 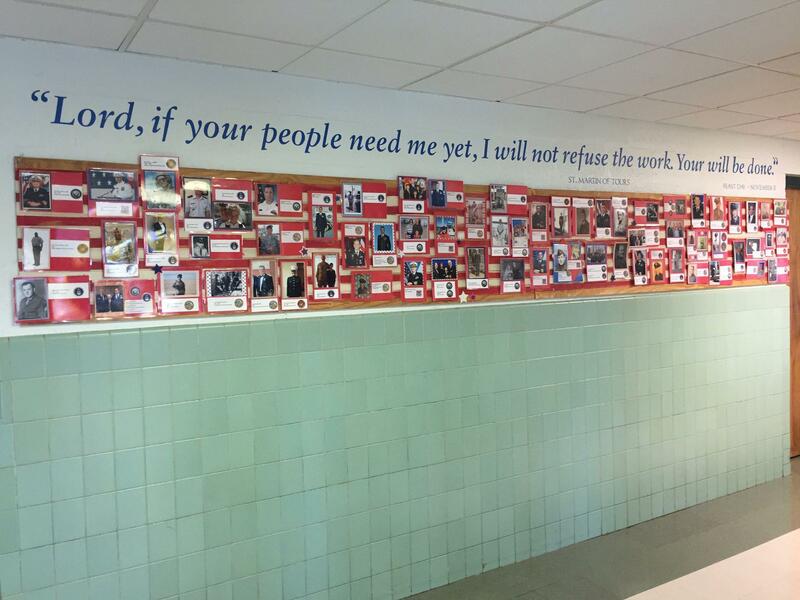 All academically qualified students are welcome at St. Louis Catholic School regardless of race, creed or ethnic origin. The application process includes an academic assessment for all K-8 applicants and review of student records for students entering 1st-8th Grades. Military families relocating may schedule their assessments with the registrar for a timeframe in which they will be in the local area. 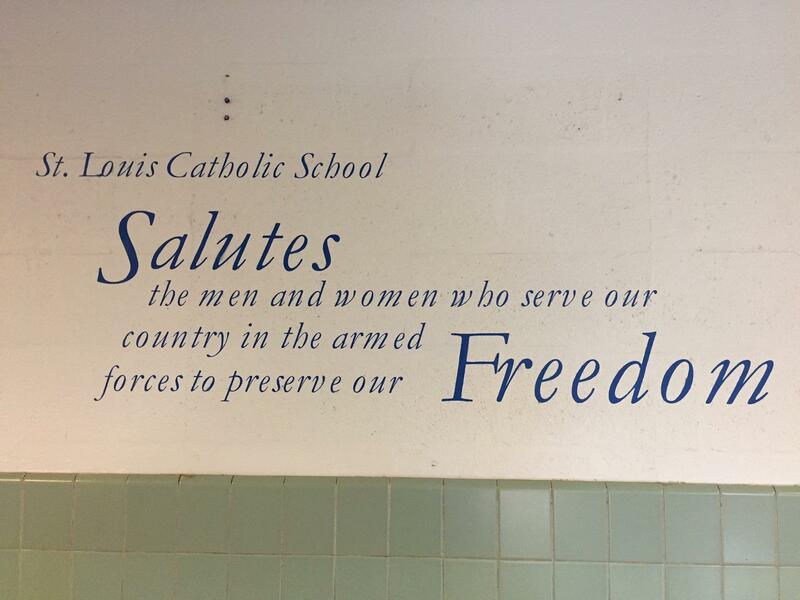 Parents of applicants should submit the Release of Student Records form found on the Application Forms page to their child’s current school so that student transcripts are shared with St. Louis Catholic School. St. Louis follows the curriculum guidelines designed and outlined by the Diocese of Arlington Office of Catholic Schools. Additional information on the curriculum and assessments specific to St. Louis may be found under the Academics tab of this website. The comprehensive Diocesan curriculum guidelines may be found here﻿. Students who wish to enter Kindergarten must be age 5 by September 30th of the school year for which they are applying. St. Louis families who are awaiting military orders, may receive an extension on their annual re-registration upon request. Families must notify the school once orders are received confirming their intent to remain at St. Louis or their pending departure date. Once identified, families must submit the appropriate record release form from their child’s new school to St. Louis so that student records may be forwarded on your family’s behalf.